We live in San Diego where for the most part there are very few great restaurants with creative chefs and menus. Sure there are some beautiful big restaurants with big views and great decor many of these places serve steak, Mexican cuisine, seafood, with little or no creativity. They cater to the many business dinner and lunch meetings our convention center generates. 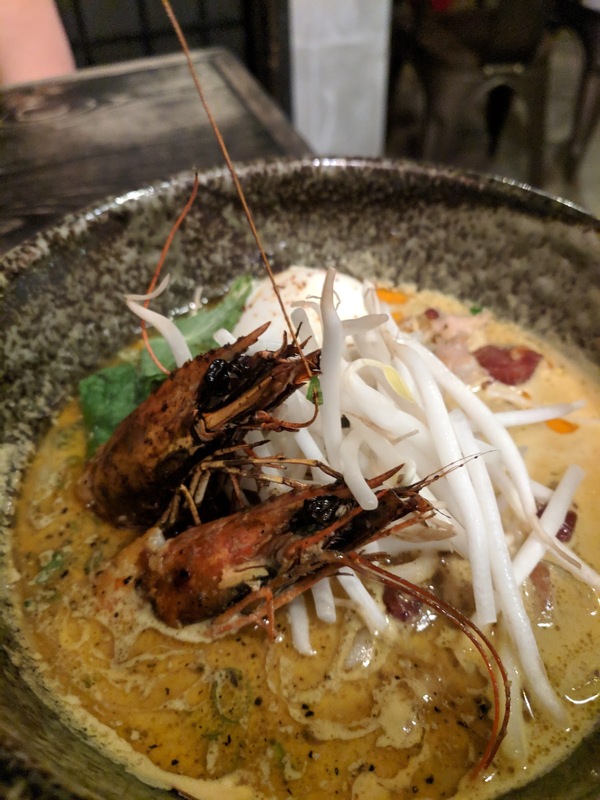 Over the last several years there have been some chefs wanting to do their own restaurant moving up to North County San Diego. The rents are less and the demographic is trending to younger folks looking for the coastal life but at lower costs. 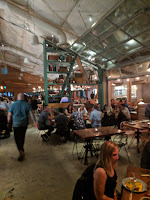 Over the last 2 weeks we have discovered 2 great new restaurants Campfire in Carlsbad and Dija Mara in Oceanside. 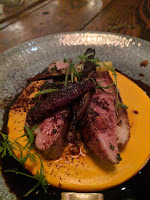 The experience in these 2 restaurants could not be more different but the food is great. They both have one thing in common beautifully presented tasty food and great cocktails. During the last 3 weeks we have been to Campfire twice, it is located in Carlsbad which is slowly transforming to an updated comfortable and usable coastal village. Campfire is housed in a large wood lodge where the bar and the kitchen are the showcase of the restaurant. Everything is out in the open, the kitchen is glassed in with a huge fire roasting area which adds to the warm comfortable atmosphere. this restaurant is large and each time we go it is very busy. 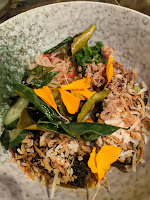 We go to a lot of great restaurants that serve great food, these are great finds in our own backyard. of small and medium plates and walk out happy. 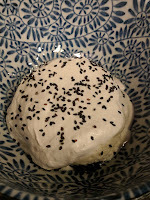 We like grazing so it was our mission to try some of the very creative drinks and dishes. The cocktails served here are out of this world. 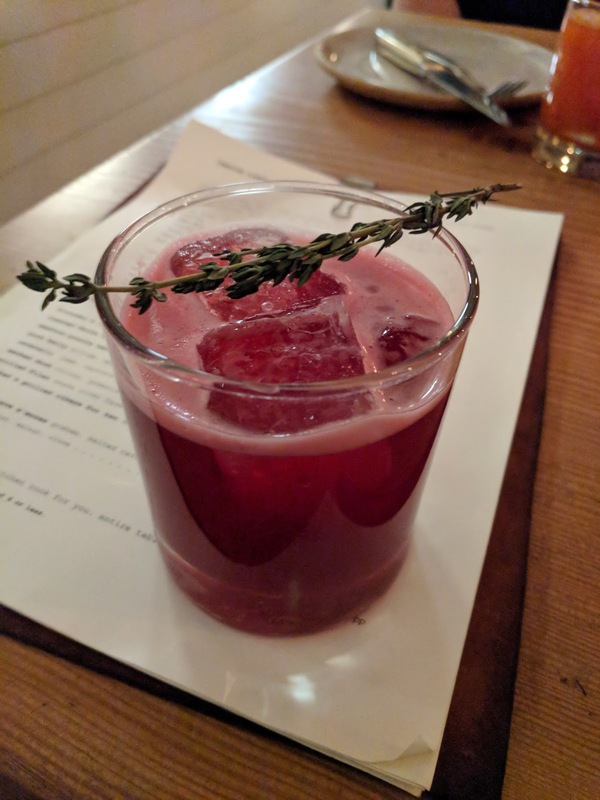 Who ever heard of a cocktail made from roasted beets, gin and ginger, we had to dive in and enjoy this earthy, spicy, sweet drink. It was delicious! If you are looking for a more refreshing drink try a Aloe Black with tequila, cucumber and lemon. I am not sure who started the trend but combining roasted vegetable and fruit pulp with alcohol and herbs is a genius. 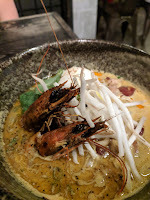 Here are some experiences and tastes of the 2 meals we have had here. Caution do not try to eat this much by yourself it will require 2 or 3 sittings. 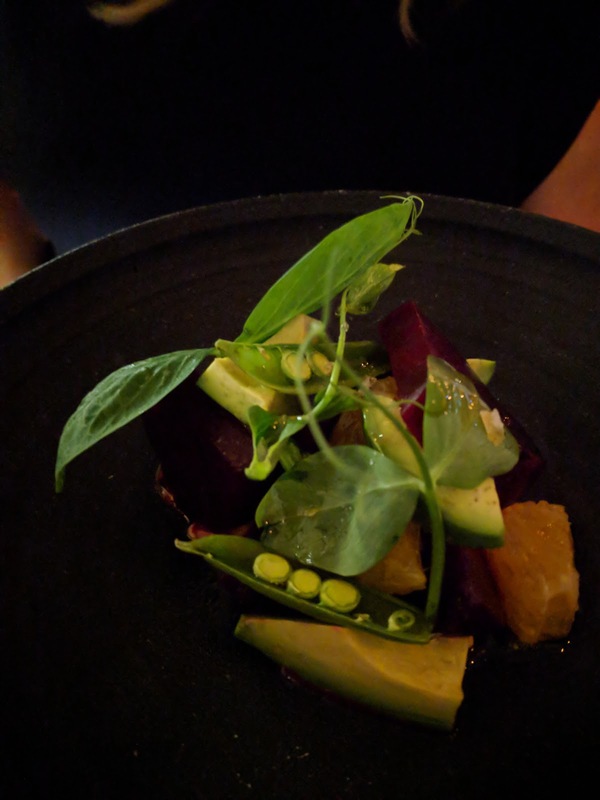 I have already told you that we are beet fans so obviously we started out with the roasted beet salad with basil, snap peas, chili, avocado and harissa yogurt. 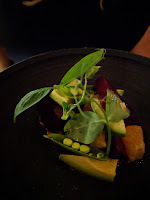 Here is the taste in order first you get the earthy but sweet beet in the center of your tongue next the chili and harissa goes right to the side of the tongue and give a little heat with the avocado taming the spice for really a very great bite. 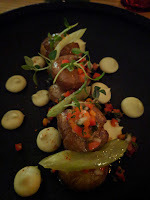 Our next bite was the potato which was a play on patatas bravas with smashed sweet new potatoes, celeriac, garlic aioli and peppers. This was light and tasty not a heavy dish of potatoes. Our next plate was the roasted broccoli with chermoula which is a mid-eastern marinade with a combination of spicy, tart and sweet ingredients and candied peanuts. The broccoli has a meaty part and then you get to the flower which when cooked properly can become a little crunchy and crispy This is one of those dishes that you never thought anyone could create with broccoli but here you go something that is delicious. The medium plates you can share or you can just eat it yourself. Seafood pozole verde is one of my favorite dishes of the year. When I hear the word pozole I immediately think of a spicy comfort stew typically with chicken or pork. 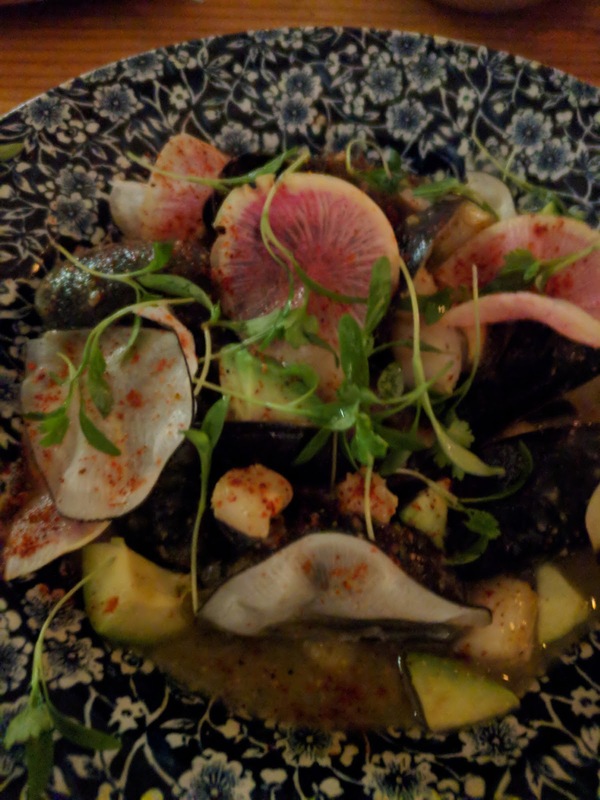 In this case it was my favorite style of stew but with mussels, scallops and fish topped with colorful radish and avocado to provide some cooling of the spice. There is a tiny bit of work to this dish because I like to remove the seafood from the shell and then mix it up into the stew and enjoy. This dish does not disappoint, the seafood is plentiful and after sharing a couple of appetizers it hits the spot. 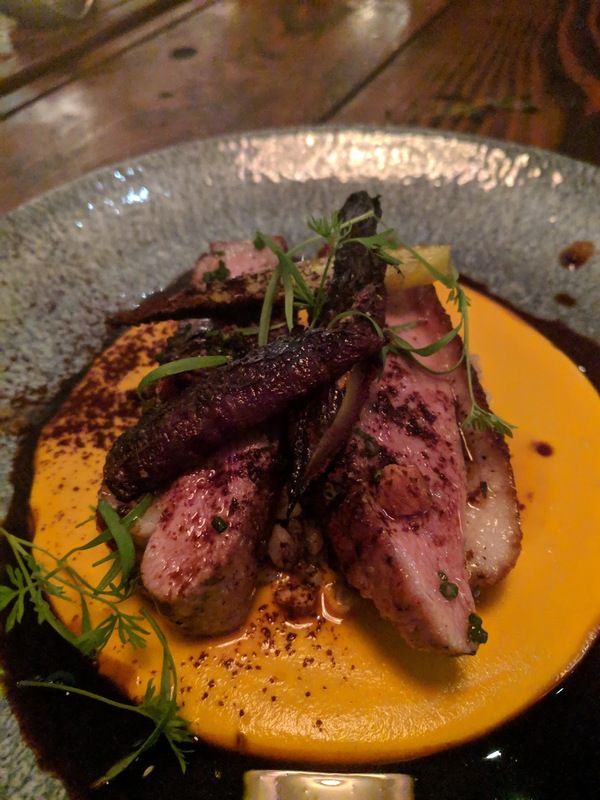 The other dish is the smoked duck which sits on top of a citrus-sweet potato puree, farro and topped with roasted carrots and herbs. The duck was cooked perfectly the dish in a bite was so flavorful. This is a dish that would be very difficult to cook at home because of all the ingredients which is the reason I was so glad I ordered it. 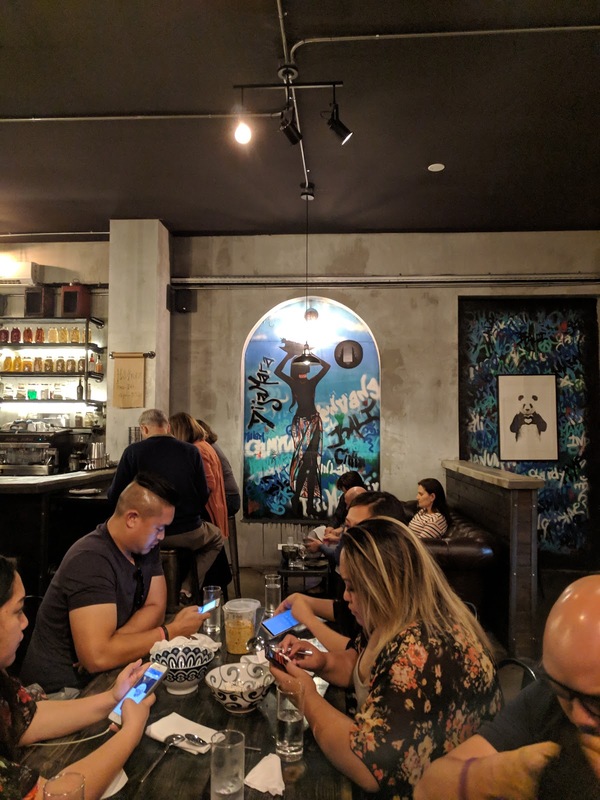 The dessert is all about Campfire's vibe and the overall experience. 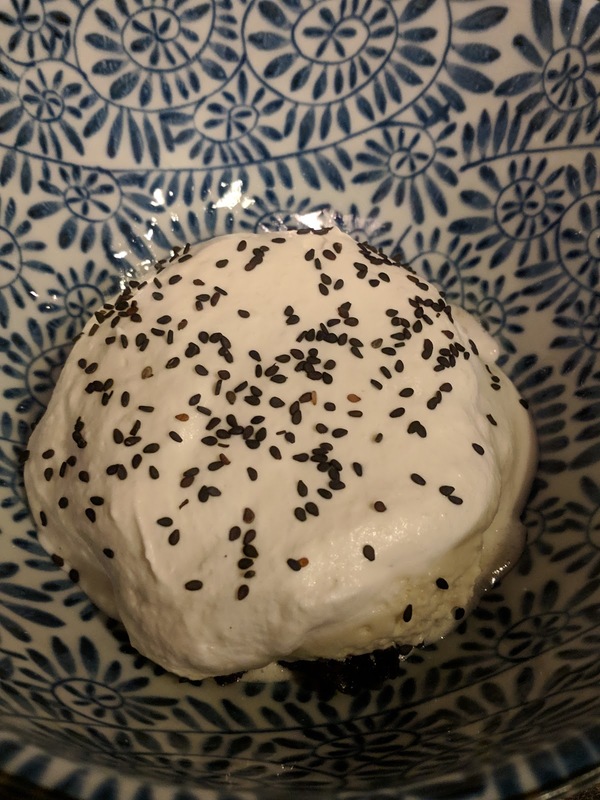 S mores that are self-made at your table. You get the ingredients marshmallow, graham crackers, chocolate and a iron bowl of embers. The Marshmallow is on a stick you all battle for a spot over the fire to melt your marshmallow and you make your own dessert. What a great way yo finish a great meal. 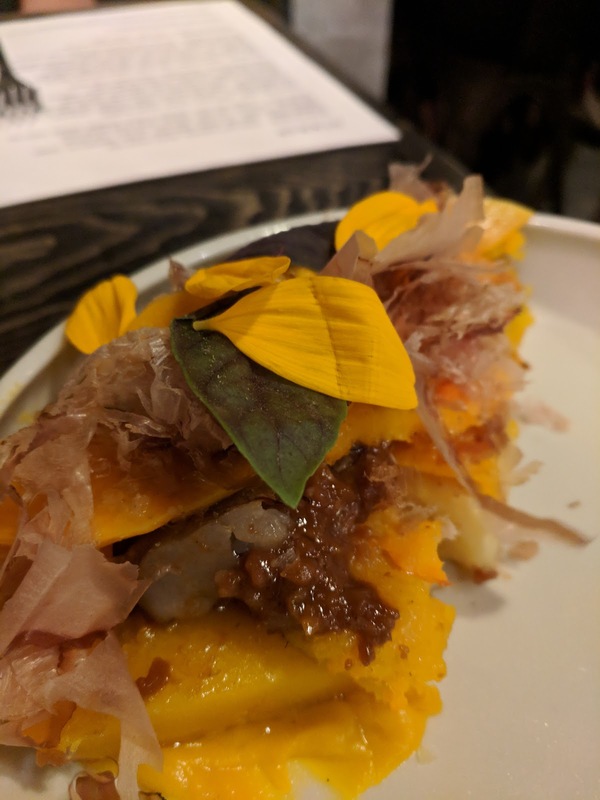 Japanese sweet potato, variations of squash, bonito flakes and peanut ghee, topped with edible flower petals. When the plate is brought out the bonito flakes are moving as if they are alive, it is startling at firs. 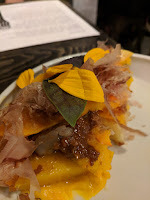 The Japanese sweet potatoes paired with the bonito flakes created a smokey sweet treat.